Nice catch! Your baseball event brings back many memories of Yankee Stadium and the days when catching a ball would bring you neighborhood fame. You can now officially be titled as the “The Biggest Kid on the Blog”! Way back when, we all would know the entire line-up of the world famous “Yankees”, even the bench. After all, we lived with the constant hum of the mundane announcer’s voice on the radio and TV during the games, which we waited in anticipation for his tone to pick up an elevation of elation during a big hit, or better yet, a home run! The “MICK” would ever be the “HUMBLE HERO” as he circled the bases with his head bowed in humility after knocking one out of the park to the thrill and roar of the crowds! Dem were da days! The 1950-60’s when the eye on the prize was we little guys, not the “Big Buck Buys”. I was privileged later on down the line in the 1980’s to mix it up with M.M. in Atlantic City before he headed for the “Eternal Dug Out” beyond the bleachers. Memories are golden …if you are old enough to collect them and young enough in mind to recollect them! Speaking of which, do you remember the little baseball field right below my grandfather’s property and right next to your grandfathers? The boys would have a pick-up sand lot games there in the 1920’-30’s. By our time it was a rocky, weeded “Field of Past Dreams”. I have a vintage photo of it, and the all the gang! Da Boys! Time does have a way of fogging the events of our past and creating an illusion of a fragmented picture show. It has been 25yr. to the day Aug. 31, 1987 when you and I last stood upon our ancestral land together, watching (as if through a time tunnel) our great grandfather tending to his harvest, plucking the plumpest fruit of his vines to mix within his “Barrel of Fun”! 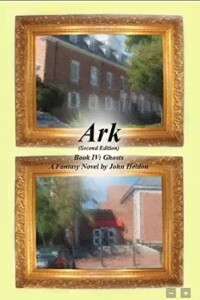 I am happy to hear about your book Ark has been published. I wish you all the best and keep on writing. There are definitely more books within you.